Since 2007 we do offer our extremly popular Clip-filters. Customers looking for a filter to be used with the "big" Bodies containing the Full-Format sensors, had to buy large (and expensive) filters to be screwed in front of a lens, as Clip-Filters were available for the APS-C sized bodies only. All customers asking for Clip-filters for the Full-Format bodies were told "We are working on it, please wait!" If you are new to astrophotography and looking for your first filter: We do recommend getting the Astronomik CLS! The CLS gives you maximum contrast due to it effective surpression of artifical light pollution, but still gives you neutral and well balanced colors. With the Astronomik CLS you can do very deep images of amazing quality even form a urben/suburban observing site! The full range of Astronomik filters is available as Full-Format Clip-Filters now. NEW: The OWB filter for daylight-photography with modified cameras is available now too. The first series of XL-Clips was shipped in Dec 2013: Please read more in our news. Mounting the Astronomik EOS XL-Clip Filter is very easy: You don´t need any tools and filters may be changed at night without any problems. Activate "Mirror Lockup" in the Custom-Functions Menue and press the exposure button once: The flip-mirror goes up and stays there. Now slide the XL-Clip-Filter into the body and press it in, until it rests on both arms (right & left). 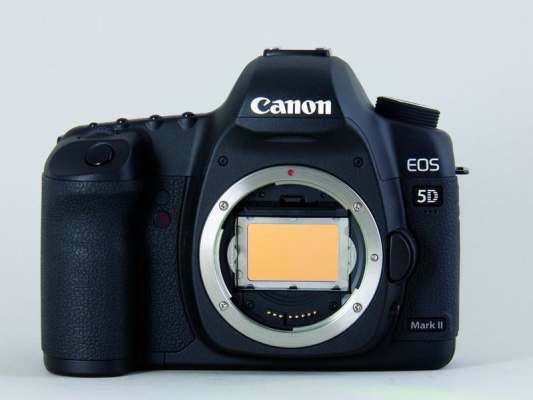 Deactivate the Mirror-Lockup and your camera is ready for imaging! The installed XL-Clip-Filter fixes the flip-mirror in the upper position. -You can´t use the optical viewfinder as long as the XL-Clip Filter is installed. For Searching, focusing and centering you should use the LiveView monitor on the back of the camera or the remote-controll via USB cable. All functions like Autofocus and Image-Stabilization remain fully functional. The fixed flip-mirror does not cause any kind of problems or error-messages! Removing the Astronomik EOS XL Clip-Filter is very simple: Pull the filter out with one finger an on arm (either right or left), get the filter with two fingers and put it into it´s storage box. The flip-mirror goes down and the camera is working as before.